While a professional bathroom remodel can be a major investment for your home, it is an investment that can certainly pay off, which is probably why it is one of the most highly demanded home improvement projects among homeowners all over the country. To help show why bathroom remodels are such a popular home improvement choice among homeowners, our team of skilled remodeling contractors have taken the time to put together this short list detailing just a few of the most notable benefits this particular remodeling project can bring to your home. 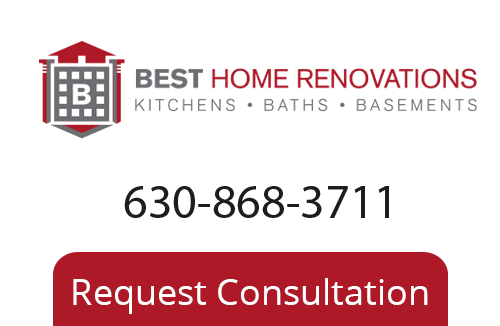 We invite you to read through and give our team of professionals a call today to let us help you start planning your next bathroom remodeling project. Whether you are looking to list your home for sale in the next couple of months, or you are just looking for ways to protect your investment by keeping your home’s value high, a bathroom remodeling project can be a great way to do so. With a good design and tasteful choices, you can actually get a return on your investment that is nearly equal to the money you put into the project, which is something that just isn’t possible with most other remodeling projects out there. 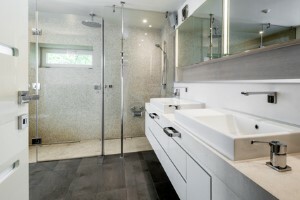 In fact, even if you are looking to sell your home in the very near future, investing in a bathroom remodel can still be an excellent asset, as it will not only help to increase the value of your home, but it can also serve as a major selling point among any potential buyers that might be looking. One of the most common reasons that homeowners choose to invest in bathroom remodels is that it is a a great way to increase the amount of usable space your bathroom is able to provide. This can be done in a number of ways, including expanding the space as a whole, or just making more efficient use of the space that you already have available. In either case, the right bathroom remodel design can net you a great deal of additional space in your bathroom, enhancing the overall function and beauty of the room at the same time. When it comes down to it, most older bathroom fixtures just weren’t designed to operate at the level of efficiency most modern fixtures are capable of. If you are one of the many homeowners out there who are looking for great ways to enhance the beauty of your home, as well as make your home more efficient overall, investing in new fixtures for your bathrooms can be an excellent way to do so. Another wonderful benefit of a professional bathroom remodel is that it allows you to modernize those old, outdated bathroom spaces around your home. Tastes and styles change over time, and if you are one of the many homeowners out there who can’t stand the sight of your old bathroom any longer, investing in a quality remodel is a great way to provide yourself with the opportunity you need to transform your bathroom space into something new and exciting that you and your family are sure to love for years to come. If you are looking for a professional Chicago remodeling company, give us a call today at 630-868-3711 or fill out our online request form.